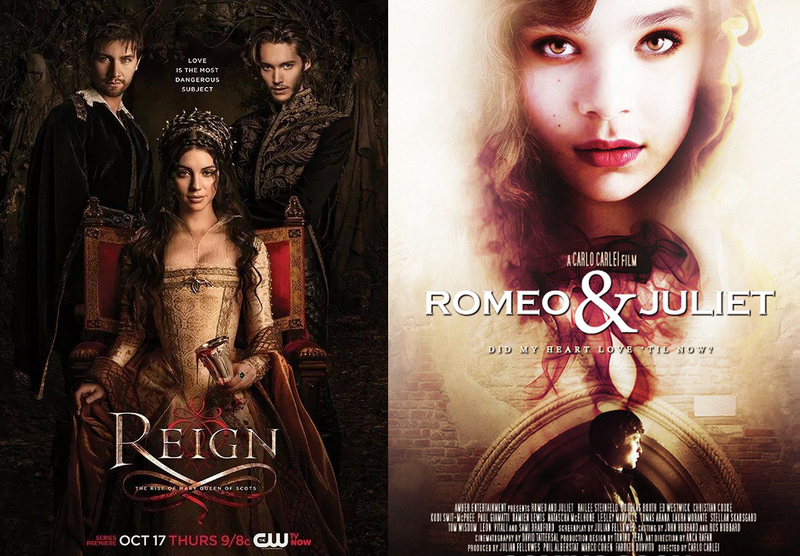 "Reign" and "Romeo & Juliet"
I'm a sucker for stunning sets and elaborate costumes – especially when mixed with intrigue, romance, drama, and history. Last night I stumbled across the CW's new series Reign, which unravels the story of the young Mary, Queen of Scots. And then today, I found out that a new Romeo & Juliet is about to hit the big screen – based on an adaptation written by Downton Abbey's Julian Fellowes. I can't wait for either of these! I need some historical costume dramas to keep me occupied until Downton Abbey hits the U.S. and Game of Thrones returns with its newest season. Enjoy the trailers! Which one will you be watching?